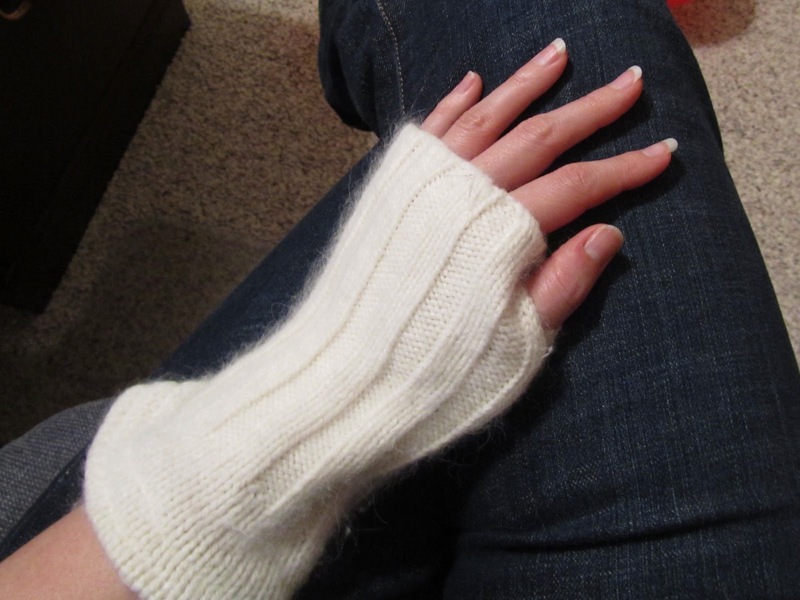 Twelve Crafts Till Christmas: impractical fingerless gloves: i feel so edgy! 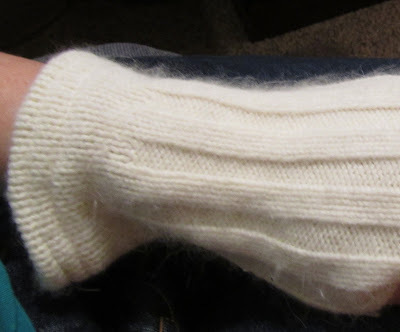 I decided to see how much of the remaining part of the sweater I can turn into something. Let's be honest . . . these fingerless gloves serve no practical purpose. 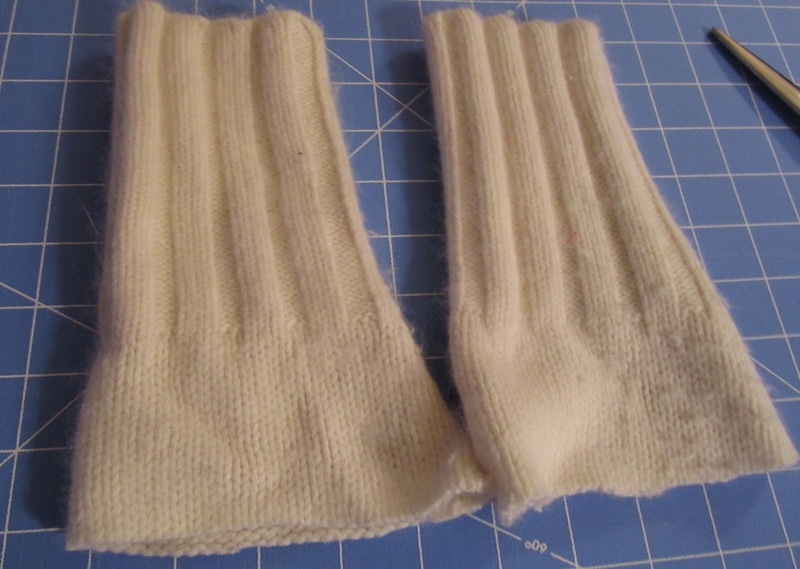 I could pretend that I made these because I want to keep my wrists warm, but that's not true. Why on God's green earth would I need to keep my wrists warms but not my fingers? The truth is that I made these because I saw them in a store, and I liked the edgy vibe they gave off. However, I knew it would be really hard to explain to my husband why I needed fingerless gloves, so I didn't want to pay money for them. So . . . I made a bad replication. 1) Cut off about 8 to 9 inches from the sweater sleeves - depending on how long you want your impractical fingerless gloves to be. Try on and determine if they need to be made smaller/tighter to work as fingerless gloves. Mine needed to be about 1 inch tighter. 2) Turn inside out. Pin along seam and sew in 1 inch (or whatever you measurement from above happened to be) from edge. BUT DON'T SEW A STRAIGHT LINE FROM BEGINNING TO END. 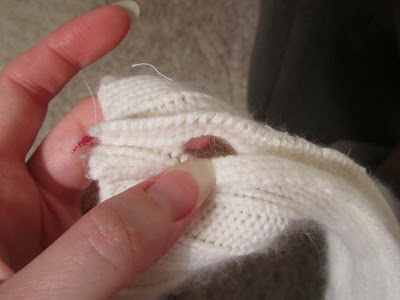 Do not sew about 3/4 of an inch where you want your thumb to go. My thumb gap was about an inch from the top edge of the sleeve. (See last picture.) 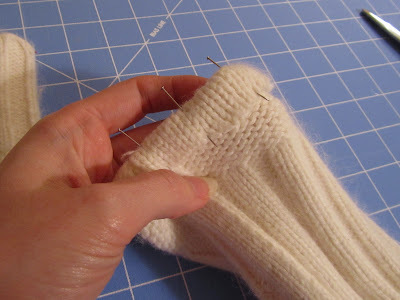 You may need to sew along the edges of the thumb gap if you are using a sweater that unravels easily. Mine doesn't and I like the raw look, so I left it. 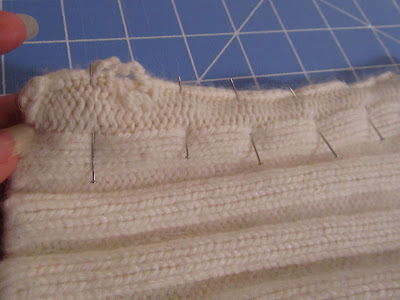 3) Cut off excess sweater after sewing new seam. 4) With the glove still inside out. Fold and pin the cuff. Sew creating a hem. I actually put in two straight stitch hems. I realized that I could have made the cuff tighter on this, but I actually like the slouchy look I ended up with. Fingerless gloves become very practical when typing in a cold January house. These could really come in handy! Thanks for the great idea! Would love to have you link them up on Make It Fantabulous! Friday! I love those too and now I can make my own. I'm always cold, I wish it was 80 degrees all year long. Thanks for the easy to follow tutorial, I'll be sporting these all winter long. Ohhh, I love them!! I need to make some for my daughter. I'm thinking you need to add these to your stocking stuffer page. :) The BEST Christmas gifts are those we deem impracticle, right?? yes, quite edgy! love that you came up with a way to make them yourself! You have some GREAT tutorials and gift ideas! LOVE IT! These are awesome and totally practical...especially if you have an iphone! They don't work with gloves on!!! So...now you need an iphone to go with your very edgy gloves (if you don't already have one!). These are great and very fashionable. I'm going to follow your tutorial to make a pair for my 15 year-old as a stocking stuffer. Thank you for the great idea! It's YOU again!! I'm back from Cheri's! Right! That's it! I'm your newest Follower! Great idea!! I've made these with looms....but these would be so much quicker!! I love fingerless gloves. But they are impractical,just cute. Great idea, I crocheted a bunch of these last winter for my girls and their friends. I wish I would have thought of this idea!! Thanks for sharing!! Oh but they are so practical! It is amazing how warm these keep your hands especially when you need your fingers for work like needlework, sewing, typing etc. For those of us who have poor circulation they are lifesavers!! I hadn't thought of making them out of sweater sleeves- great idea! 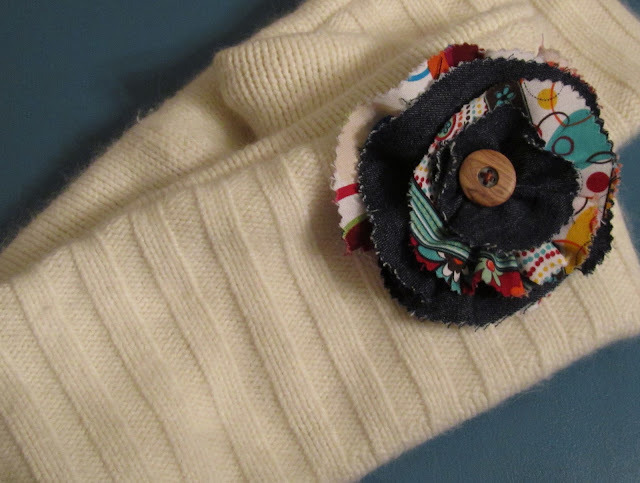 I made pumpkins out of sweater sleeves- have them up on my blog if you would like a peek! I love these! Thanks for sharing your tutorials. 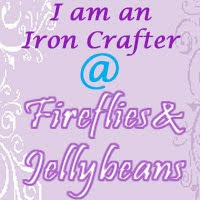 New blogger here stopping by from Mad in Crafts party. I will become your latest follower. Love the Etsy store too. Nicely done! Maybe impractical for you, but in a drafty house in midwinter just lovely for me. I will be making a set of these "toot sweet." You did a great job! Thanks for joining us at Anything Related! First - I saw that scarf in J Crew last weekend for a bunch of $$$! 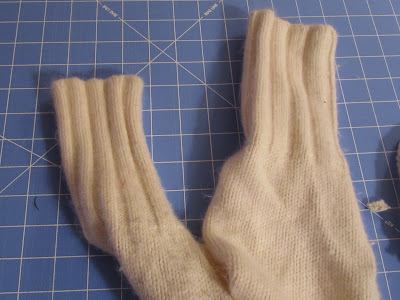 Second - Love that you figured out how to make the gloves without knowing how to knit! Third - I have a sweater I shrunk that I can't bear to throw away and now I know what to do with it! Yahoo! Actually, I learnt the hard way that you need fingerless gloves to answer an I-Phone... not so impractical. what a great idea! i have a few sweaters that need to go - now i know what to do with them! 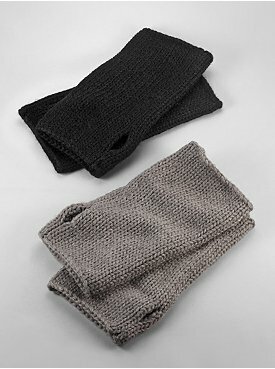 These are perfect for an office that stays really cold, but you still have to have your fingers bare so you can type. I've worked several places like that. Those glove are for texting in the snow silly! This is so cool! It turned out fantastic! What a good idea. If you get a chance, I'd love for you to come link it to my party this weekend. Starts tomorrow at 6pm PST. Hope to see you there! Again, looks awesome! I have read that when your pulse points are warm, the rest of your body is warmer. The wrist is a pulse point. It's the same principle as the fleece vests that don't cover the arms. These are very cute. My daughter is in love with these! Thanks for sharing at Beyond the Picket Fence's Under $100 linky party. Ha! I love it. It's a great way to use ALL of a sweater! That's awesome! I never in a million years would have thought these came from a sweater. Nice job! My daughter would love this I'll share with her. First time reader love what you do. I will be linking to this next week...I used a sweater to cover a vase...and this is a great use of the arms! Not practical! Are you kidding? These are extremely practical! They're called writer's gloves, and they're for keeping your hands warm while typing. I'm always on the lookout for these because I have both severe carpal tunnel and Reynaud's syndrome, a condition where the extremities get very cold. These gloves keep me warm where I need it. Thanks very, very much for showing how to make them!